The Chilled Out Wellness Mission: To Help You Be the Best You That You Can Be! The sole mission of Chilled Out Wellness is to help people feel better and be happier. Regardless of your background and current condition I strive to develop the happiest, healthiest and strongest you! My goal is to make everyone the best versions of themselves by utilizing not only cutting edge advancements in science and understanding of the human body but also ancient techniques and practices that have been used for centuries. Let's face it, life is stressful. Through learning from endless research and personal experiences I can show you how to manage your stress more efficiently, have more energy, deal with chronic pain and be overall happier and healthier incorporating the Chilled Out Wellness concepts into your regular routine. Take back control over all aspects of your life by learning to optimize and reset your human systems. The power isn't outside of us, it is within all of us... learn to tap into that power today! As a certified instructor  of the Wim Hof Method I can show you how to safely and correctly apply the techniques so you can gain the maximum benefit for whatever your ambitions may be. I offer official Wim Hof Method workshops going into more detail about the scientific studies and how you can start practicing and applying the method for greater health and well being. Combining the Wim Hof Method in nature with awesome adventures such as hiking beautiful backcountry trails, flatwater kayaking, whitewater rafting, rock climbing, rappelling and more. These trips are for the adventurous that want to unlock more of their potential, challenge themselves, see beautiful landscapes and enjoy mother nature. Let's go outside and play! Experience a corporate team building and wellness program as one with our company team building and ongoing wellness programs. Learn to manage stress better, have more energy, be more productive, increase focus and learn movement skills to counteract the time spent sitting at a desk. Learn various breathing techniques, functional movement and playful mobility exercises to fully optimize your state of being and create powerful habits to increase longevity. We all have different goals and ambitions, strengths and weaknesses, likes and dislikes and that is part of what makes this journey of life and the relationships we develop so beautiful. I get to know all of my clients personally to learn more about their goals and motivations to better understand what techniques and protocols will be suited to help you reach your goals. As a Wim Hof Method Certified Instructor I assure you the plan will be unique, fun, and highly personalized with a focus on bringing out the best version of you and reaching your personal goals. Breathing Exercises: Learn to use the respiratory system to increase blood alkalinity, train your cardiovascular system to be more efficient, increase your physical performance and de-stress your mind & body ALL using your breath. Nature Therapy: New scientific studies are proving that time in nature slows heart rate, reduces stress and blood pressure rate. Movement/Exercise: Getting the blood & energy moving with physical activity is crucial in building the healthiest version of you. Utilizing various movements, stretches, & body weight holds you will gain higher aerobic capacity, more muscle endurance, better balance and body control. Meditation: Mindfulness & meditation have numerous proven benefits. Our training helps to create a bridge between conscious mind & physical body without the mysticism typically associated with meditating. Exposure to the Elements - Safely exposing yourself to various natural elements such as cold, heat, wind and rain activates typically dormant internal systems and alters our physiology for the better. There are numerous benefits that have been confirmed by the latest scientific research and includes but not limited to a positive effect on inflammation, mood, energy, weight loss, headache management, muscle tension, muscle recovery, immune systems and much more When is the last time you meditated in cold rain or did balance exercises atop a windy ridge line? Nutrition: Proper nutrition is essential for your body and mind to function at its best. Learn the best approach based on your personal goals. As a Certified Instructor of the Wim Hof Method I offer workshops, nature retreats, personal development, small group training and corporate team building events in Fort Collins, CO and surrounding region to give you guidance and training in learning the WHM safely and correctly. Whether the Wim Hof Method is new to you or you are a dedicated student, I can show you how to enhance and optimize your training to become the best version of yourself and help you attain your specific goals. I am learning new things with the method daily and I look forward to sharing my experiences and knowledge. The Wim Hof Method has had such a profound, positive effect on my life, especially once implemented into part of my daily practice. 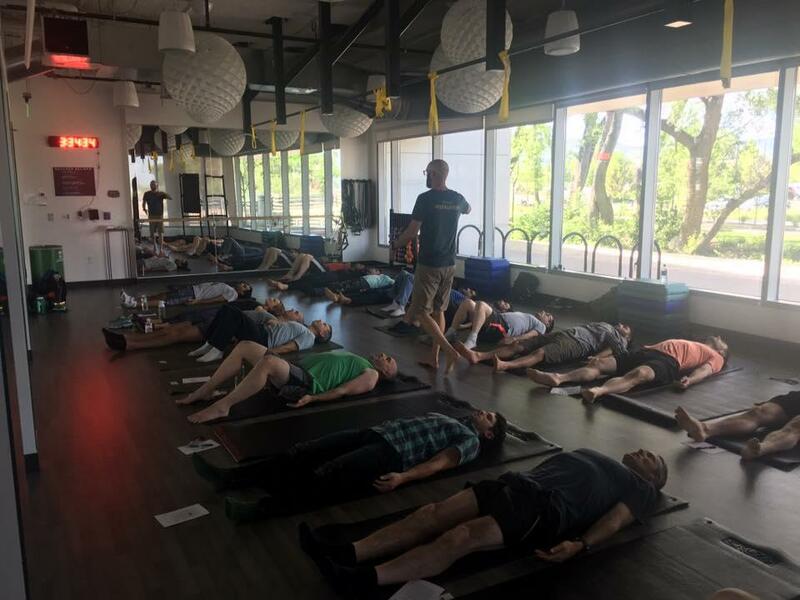 Once I was able to manage my chronic back pain, have more energy and feel less stressed by practicing the WHM I felt obligated to share this with anyone else who may be searching for more and trying to re-condition their body and mind. I am excited to be a part of your life’s journey and want nothing more than to help you achieve your goals and dreams, especially happiness, health and strength! We now proudly offer Wim Hof Method private training, small group classes and workshops at 1304 South College Ave. Suite #12 Fort Collins, CO 80524 (Karuna Heart Yoga Studio). IMPORTANT: Other than the time frames listed for WHM Workshops at the location all other services will be by appointment only. Please register for events prior to the scheduled start time to avoid overbooking. Contact me directly for questions or concerns. 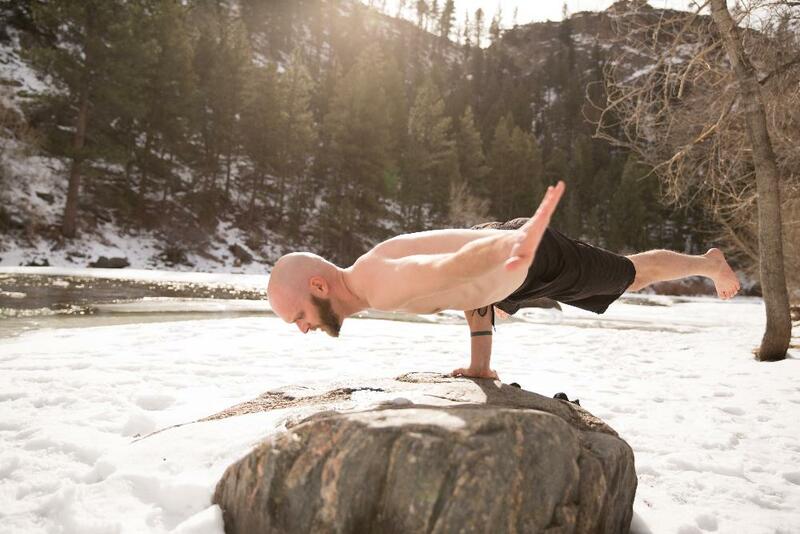 I invite you to join me at Karuna Heart Yoga (1304 S College Ave Suite #12 Fort Collins, CO @ The Wellness Center) from 12:00pm-5:00pm on Saturday April 13th, 2019 for an introduction to the fundamentals of the Wim Hof Method, led by Certified Instructor Michael T. McTate. Gain more control over your happiness, health and strength with an introduction to the world renowned, scientifically endorsed Wim Hof Method! Learn to tap into your hidden powers by harnessing the power of oxygen and cold! To learn more about this event or register please visit the sign-up page. Be Happier. Be Healthier. Be Stronger. If you would like to hear more about how the Wim Hof Method helps me and tips on practicing the Wim Hof Method from a Certified Instructor delivered to your inbox periodically then Sign Up Today!